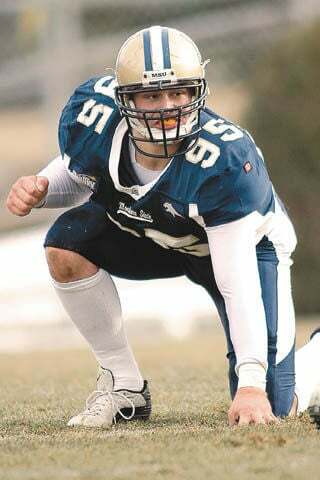 BOZEMAN — Montana State University will induct six former athletes into its Hall of Fame on Friday. The members of the 2018 Hall of Fame class: Jennifer Allen (women's track and field), Rebecca Alvidrez (women's basketball), Harry Clark (men's track), Nate Holmstadt (men's basketball), Jon Montoya (football) and the late Tony Welzenbach (football). Allen was the 2004 Big Sky Conference outstanding field athlete of the year and holds program records in indoor shot put and discus. She's currently an assistant track coach for the Bobcats. Alvidrez was the 2002 Big Sky Conference defensive player of the year and a two-time Big Sky first-team selection. Clark was an All-American in 1989 and holds the MSU record in decathlon. Holmstadt, who played for the Bobcats from 1995 to 1999, holds the program record for most career made field goals (723) and was a three-time all-Big Sky selection. Montoya was a two-time All-American in the early 2000s. Welzenbach was an All-American in 1968 and was a member of three Big Sky championship teams. The Hall of Fame banquet is scheduled to begin at 5:30 p.m. in Inspiration Hall of the Norm Asbjornson Engineering Building. The six inductees will also be honored during the MSU men's and women's basketball games against rival Montana on Saturday. The women's game will start at 2 p.m., and the men's contest is scheduled to tip off at 7 p.m.